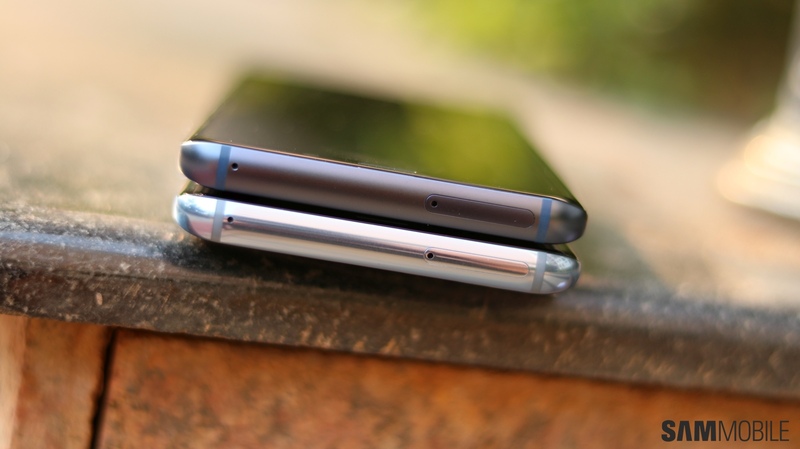 The Galaxy S8 and Galaxy S8+ were the most beautiful smartphones on the market when they launched back in early 2017. 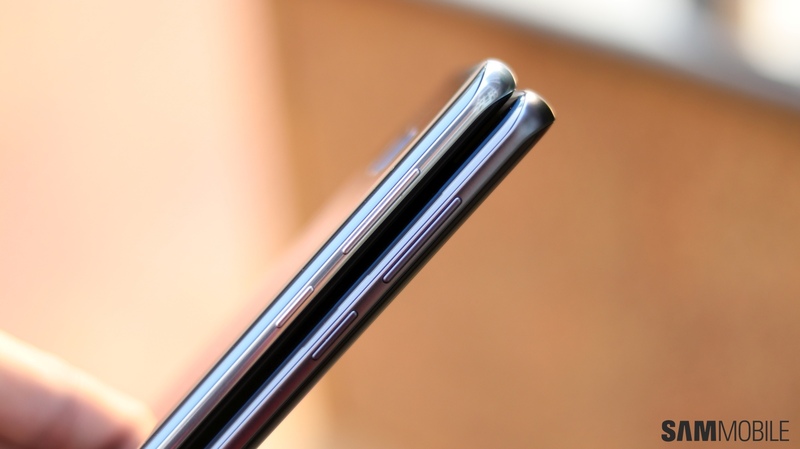 The Infinity display made for immersive viewing without any notch getting in the way, and nothing came close to the overall design of Samsung’s then-new flagships. With the Galaxy S9 and Galaxy S9+, Samsung took the excellent design of the S8 and S8+ and sat down to refine it in ways both major and minor. Galaxy S9+ vs Galaxy S8+: What’s different, and what isn’t? 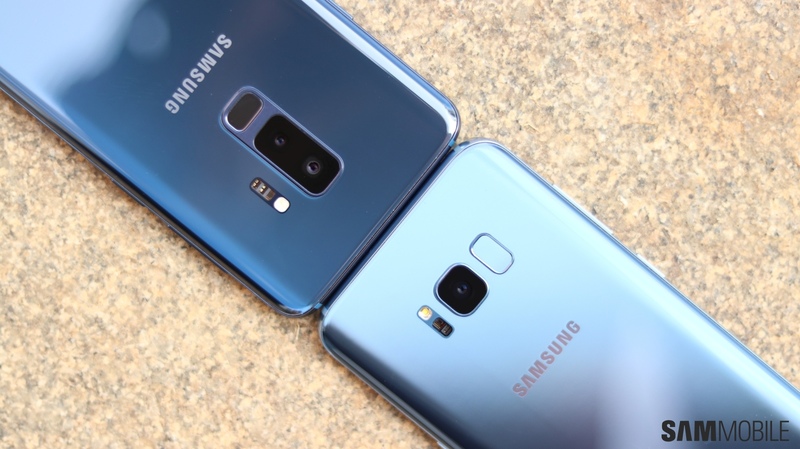 The major changes include a re-positioned fingerprint sensor (which may or may not be placed a tad too low for you) and a dual camera for the Galaxy S9+. 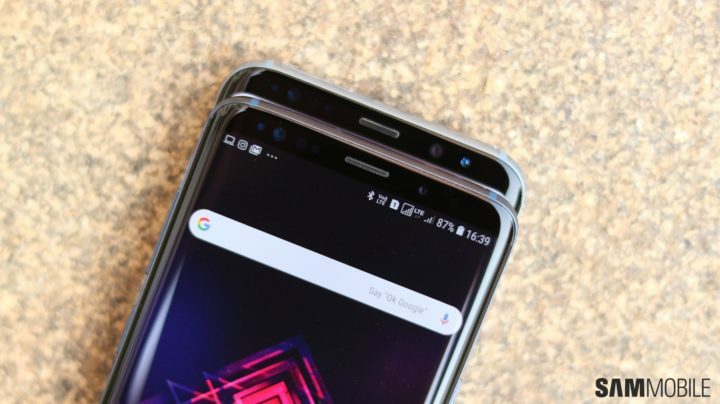 Most of the minor ones don’t always stand out, but they include narrower bezels, a darker top bezel, a matte finish for the metal edges, and a speaker grill that is now one big cutout and not multiple small holes. 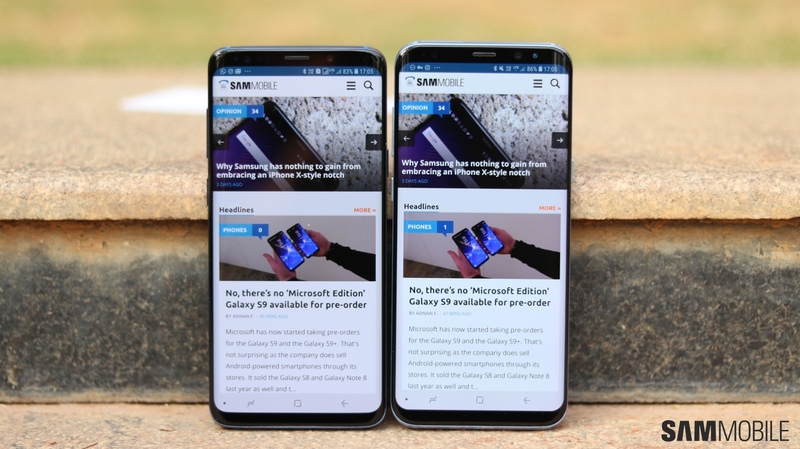 In fact, some of these changes are so hard to spot – or don’t make much of a difference – that you would need to see a Galaxy S9 and Galaxy S8 side by side to notice, so we decided to put the S9+ and S8+ next to each other and take a couple of pictures that you can check out. Take a look at the pictures below, and let us know your thoughts in the comments. 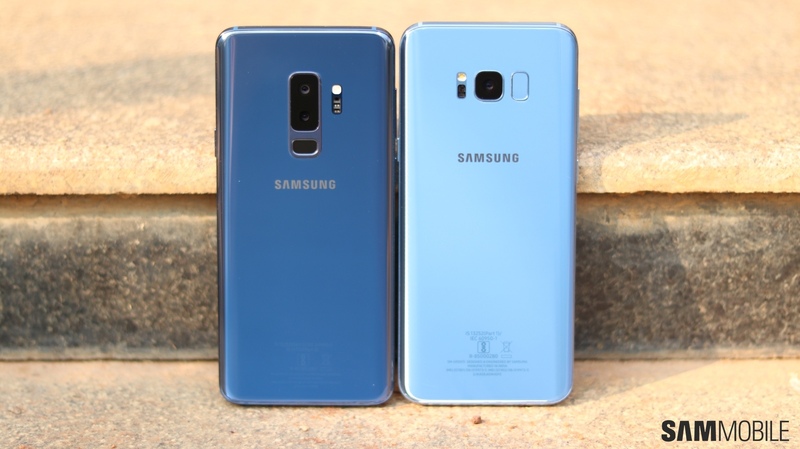 Of course, there are also numerous new features and improvements under the hood, and our Galaxy S9 review will give you a good idea of how well they work together when taken as a whole. Lucky enough to have received your Galaxy S9 or Galaxy S9+ already? 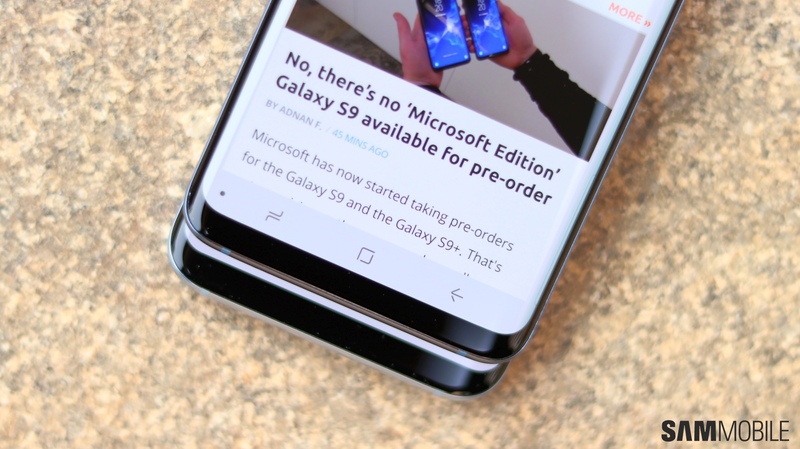 Tell us how you’re liking your phone so far, especially if you upgraded from the Galaxy S8 or S8+ instead of an older or less costly smartphone (Samsung or otherwise). That’s finally enough reasons to stay with my S8 and keep going the “every-2nd-generation-path”. Got myself a Gear Fit 2 instead to satisfy my “need a new Samsung device NOW!” syndrome. Did you enable the OEM Unlock option in developer options by any chance? 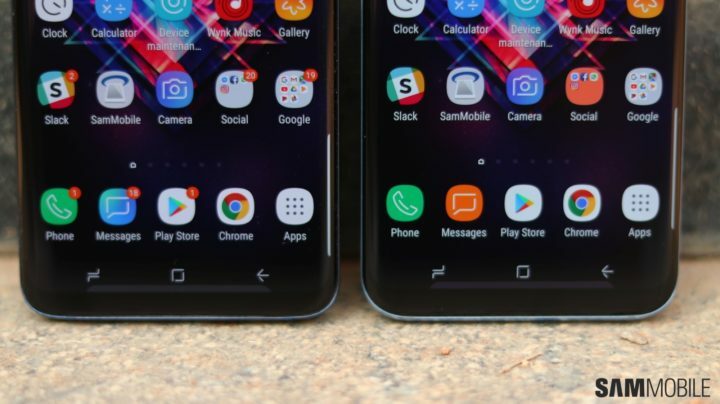 That has been reported to be bricking the Galaxy S9. Backdrops app on the Play Store, it’s called Lifeblood. I really hoped they wouldn’t cheap out on the stereo sound but they did… the earpiece is not a speaker; and just like every other phone company that does that – it sounds MUCH quieter than the main speaker. they should have made dedicated top and bottom firing speakers instead. it can’t seriously be that difficult. I noticed the 6GB RAM has made a noticeable difference to my phone use, and likewise – very grateful to be able to use Google Pay and Netflix HDR! Battery in my S9+ is doing great. After 16h and 40min I still have 40%. My S8 has 40% at 5pm (now is 00.30), so I can see a huge difference. And S9+ is much faster than S8. I am impressed how this phone is working now. The best Galaxy S that I ever had (S, S4, S6, S7, S8). The only one thing I miss is something similar to iPhone X’s FaceID with 3D scanning. 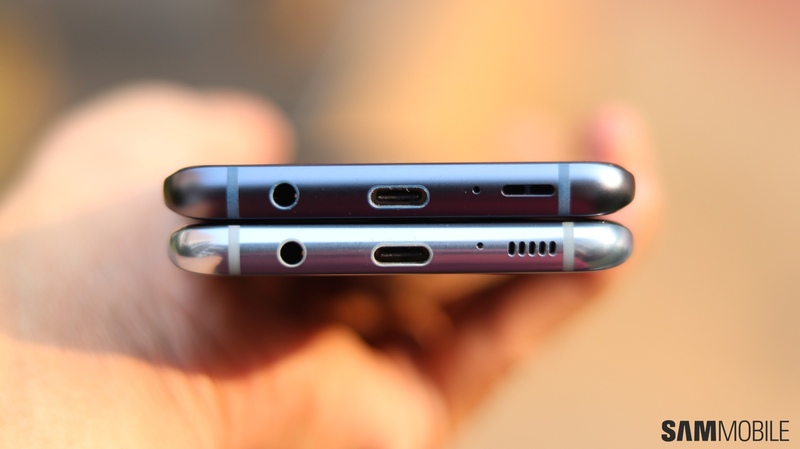 Really terrible of Samsung to be selling the 2017 A5 and A3 as the “new” A series still. They do continue to disappoint UK customers. This is exactly why after owning every galaxy S series over the last 7-8 years, i sold my S8 and wont buy another Samsung until this changes. They make really good devices but the software and customer support is simply shocking. I took part in the beta for oreo and they released it to everyone else but not UK users? Im not paying premium prices to be treated this way.. I know, I genuinely believed my S8+ would be out of beta before my S9+ arrived, but it hasn’t. Good thing is, I cannot see what else they could possibly at to Android that I would desperately want on my phone. so I can happily wait for P – Oreo on the S9+ is really well built. and 6GB RAM does make a difference. silly to pay additional money for upgrade, not worth it at all. Ah, right, but those offers are rather common, and they won’t be available after a while. But yeah, at launch it’s certainly a lower price. Sammobile, you might want get upto date after long weekend. Samsung Canada wants to tell something to some Galaxy users. More battery Vs Less Thickness? Everyone knows who’s winning! But it has the same battery capacity ! !